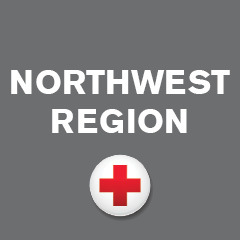 My name is Anwishta Acharrya and I am an AmeriCorps Community Preparedness Coordinator serving at the American Red Cross in Seattle through the Washington Service Corps. In my position, I educate youths, adults and seniors on Disaster Preparedness with the goal of building a safer, better prepared, and more resilient community. I was recently inspired by a community event that I participated in last month. On February 13th, I went to Martin Luther King Jr. Elementary School to give a Basic First Aid for Youth presentation to 15 first graders. Because the presentation took place immediately following the students’ lunch break, it took a little longer for the kids to settle down. I try my level best to make my presentation interactive and engaging, especially for the youth. I noticed that the kids were very attentive and some of them were even asking questions. But what was really exciting was after I had finished demonstrating how to bandage a wound, the entire class was clapping in excitement as if I had just given a major performance. Later when I was reviewing the quizzes, I noticed all the students were able to answer all the questions. I was deeply moved by this incident. I was pleasantly surprised to find out that the kids of that age group listened to the whole presentation so attentively. This experience has motivated me to continue to prepare and deliver even more engaging future presentations to the youth, which in turn will hopefully inspire the next generation to become more active civic participants.